Zodiac Tower is a mysterious puzzling adventure which is simple to play but will keep you in suspense. Each puzzle you solve will bring you one room closer to the top of the ancient Zodiac Tower, which holds sacred knowledge and wisdom of astrology. 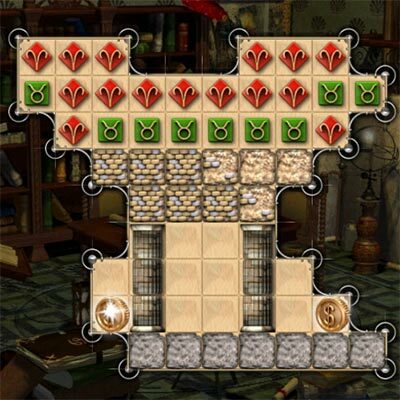 Zodiac Tower adds some exciting twists to conventional matching game interfaces. The art and music pull you into the fantasy setting right away. The game features over 100 levels, 10 mechanism parts..
Qweas is providing links to Zodiac Tower 1.01 as a courtesy, and makes no representations regarding Zodiac Tower or any other applications or any information related thereto. Any questions, complaints or claims regarding this application Zodiac Tower 1.01 must be directed to the appropriate software vendor. You may click the publisher link of Zodiac Tower on the top of this page to get more details about the vendor.